Super Eddie Classic Havana Need Help? Super Eddie Classic Havana sunglasses blend unexpected juxtapositions and sophisticated formal references into a bold silhouette. This model was crafted out of a thick slab of acetate, softened by curves around the lenses, squared hinges and minute metalwork. 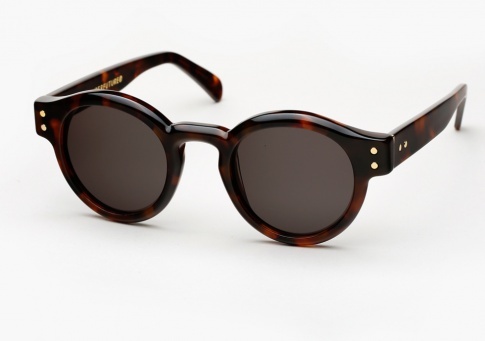 Eddie Classic Havana is offered here in a rich Havana acetate paired with dark grey lenses by ZEISS.